Greater Manchester Apprenticeship Grant for Employers (GM AGE) is a grant of £1,500 for companies who haven’t employed an apprentice in the last 12 months and replaces the national AGE grant for GM Employers. To qualify, companies must have under 250 employees and appoint an apprentice aged between 16 and 24 in a GM Workplace, for a minimum of 12 months or the time it takes them to complete an apprenticeship. 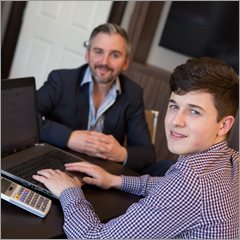 Employers can also apply for additional incentives worth £1,000 if their apprentice is progressing from a completed Traineeship to an Apprenticeship within a 4 week period or is an Advanced or Higher Apprenticeship. If criteria for all elements are met, you may be eligible for a total grant of up to £3,500. Funds are available on a first come first served basis until December 2015, subject to availability. Fancy the opportunity to network with other growing businesses? 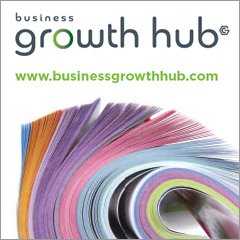 The Business Growth Hub, in partnership with Bolton Council and the University of Bolton are holding their next Growth Breakfast between 7.30am and 9.30am on Wednesday 17th June 2015. 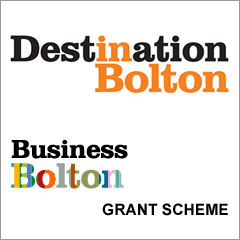 If you are looking to grow your business then come along to the University of Bolton to find out about the support available and to hear about progress with Bolton’s economic strategy. Keith Davies, Director of Development and Regeneration at Bolton Council. Martyn Shaw, Head of Business Development at University of Bolton. Jonathan Crabtree, Growth Advisor at Business Growth Hub. Rob Barlow, Partner at Relative Marketing & Creative. Ian Shaw, Director at Sanian Ltd.
Limited places are still available on a first come first served basis. Book to reserve your free place at the event. Are you an employer? Did you know that even with one employee you are now legally obliged to introduce a workplace pension scheme for your employees? This is called automatic enrolment. 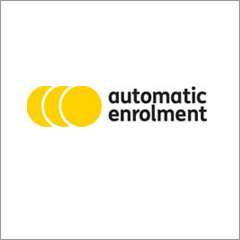 It's called automatic enrolment because it is automatic for your staff – they don't have to do anything to be enrolled into your pension scheme, but it is not automatic for employers. You need to take steps to make sure your eligible staff are enrolled into a pension scheme. Even if you already pay contributions into a pension scheme for your staff, you still need to check if it's suitable for automatic enrolment. Further information is available at the following website. The Council is offering grants to support target businesses to occupy empty units in Bolton town centre. If you have business experience and are interested in locating a new business in the town centre, or are looking to expand an established business currently operating elsewhere you could be eligible for a grant of up to £20,000. Grant funding of up to £5,000 is also available to support experienced operators who could provide a quality, fresh, affordable food offer (e.g. Pie and Mash, Soup and a roll, etc.) in the Lifestyle section of Bolton Market with local, independent operators particularly welcomed. Free help and support is available from council officers and business support advisors. 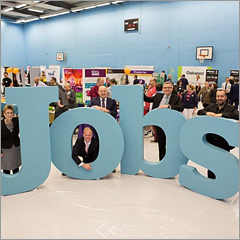 Bolton's annual Jobs and Skills Fair is back on Thursday 24th September from 10am to 2.30pm at Bolton College. As the largest employment and training event in Bolton, with over 2,500 job seekers expected to attend, it’s a fantastic free opportunity to recruit the staff you need. The Skills Fair is followed by the 'Futures 4 Me' event for Year 11 students and parents which promotes Post-16 choices and takes place between 3.30pm and 7.00pm. This event is also open to employers to promote career opportunities at their business. There’s a host of business events happening this month which you can attend to help increase your knowledge and skills, whether you’re looking to start a business or maximise your business.